It seems to have been already reported there. Should I just ignore the legality report then? ... But that was a legit catch? And an unedited pokémon? Wut? I *may* have had a lure, since I was trying to catch a few shiny early on... But I'm not even sure about that. I had a warning about me removing my card while the Switch was on and Windows "repaired" it, so I guess there's an incredibly small chance that a bit of the file was corrupted exactly there, but still, that is so unlikely (still, only one bit flipped if no encryption, I guess). -Edit- Does route 25 have higher level? Because it allows route 25. And, if so, can one spawned in one route get caught in the other and be claimed as such? Met Level 14 The encounter slots only allow 7-12, with +1 having a lure (=13). 14 is too high? I only edited my save by the time my pokémon had evolved into a Persian and want to apologize for assuming it was generalized to Meowth. I think I have a backup of that save, so I'll look it up. -Edit- Indeed, all the Meowth are valid, but not the Persian, submitting a picture. Not able to replicate. PKHeX uses the same wild encounter source as websites (dumped by me). This is a question that is often given in many places, even in 4chan's /vp/ or reddit's Pokemon threads, but one can see after playing much competitive battling that the Ice type Pokemon themselves are horribly unbalanced to the point it is a detriment to any Pokemon who are unfortunate to bear that typing. Now, of course this would often cause some people to be upset and somehow try to find ways to make their favourite Ice Pokemon viable. Gamefreak *seems* to have actually thought about this and even tried to somehow bring Ice Pokemon to more relevance with either new attacks, new abilities for existing Pokemon, and new dual typings that helps some newer Ice Pokemon, but overall, the changes were just not enough and overall, being an Ice type proved to hinder them as an inherent trait. So what exactly is wrong with the Ice types? Let us list a few things overall: Some Points about the Ice Typing Ice type offensively is a pretty good thing overall. Dealing super-effective damage against Ground, Flying, Grass and Dragon types, it can take care of many Pokemon and a lot of crucial targets are even 4x weak to it. However, it is not very effective against Fire, Water, Steel and Ice types, which means there are plenty of predictable switch-ins for Ice attacks. Usually, this can be mitigated with other coverage moves, such as a complimentary Electric attack or Fire attack if one has access to them, but overall, having access to an Ice attack is very useful. A popular attack from the special side is Ice Beam, at 90 base power with 100% accuracy, and on the physical side there is the 85 base power Icicle Crash, although it has 90% accuracy, while the more reliable but weaker Ice Punch is also available at 75 base power and 100% accuracy. Defensively, Ice types suffer the most. Having only a resistance to Ice while being weak to the common Fire, Fighting and Rock moves, along with Steel attacks, being pure Ice type means there are very little switch-in opportunities along with taking at least 25% damage from Stealth Rocks. Some Pokemon have dual typing to complement the Ice, but any other typing that would otherwise be good defensively, such as Steel or Fairy are hindered by having additional weaknesses brought in by Ice. In the last two examples, an Ice/Steel Pokemon would be 4x weak to Fire and Fighting, while an Ice/Fairy Pokemon would have a 4x weakness to Steel and the resistance that Fairy would usually bring to Fighting is nullified while still maintaining the weaknesses an Ice Pokemon has. Overall, it is a negative trait defensively to be an Ice type. How does that play in? Having STAB on Ice type attacks would be great, except that there is another type that is superior defensively and can for the most part learn Ice attacks by default: Water. Usually the Ice coverage helps a Pokemon defeat their weaknesses and for Water types, an Ice attack at least helps cover against Grass Pokemon and take down Dragons, many of them often sporting a 4x weakness due to their secondary typing. This makes Ice types a bit redundant in this case. Now to add salt to injury, the Fairy type's introduction has done more than drive Ice types completely from relevance, as Fairies are also not only strong against Dragons, but also immune to their attacks, and resists a bunch of attacks that help it become one of the better typings in the game. Offensively, Ice types don't seem to have much use vs other Pokemon and so it is common to see Ice moves rather than Ice Pokemon itself. Ice Pokemon as a design are also flawed. It looks like they were meant to be a glass cannon type but with lack of resistances. That would work so well except for one thing: most Ice Pokemon were designed to be **bulky** and **slow**. Whatever Gamefreak has in mind, their image of an Ice Pokemon are ones that should take a hit and can strike back... except more often than not they will get destroyed as soon as they switch in to something and if they survive the hit, they will likely fold in the next one while not being able to do anything about the foe due to their poor speed. A cursory look at every Ice Pokemon shows that, and those that were relevant in any competitive sort of matches were either fast bruisers like Weavile, or utility Pokemon like Froslass. Most others were not so fortunate. Ice types also have their own inherent trait: being immune to Hail weather, which did not do anything notable until Generation IV, where it finally had a side effect on making Blizzard never miss. That doesn't seem so bad, except we see the other weathers, such as Sun, Rain or Sand. Sun and Rain boosted their respective typing's powers by 1.5x, while also providing Solarbeam no chargeup turn for the sun, and allowing Thunder to never miss for the rain. Sandstorm did very little until we saw it had a passive effect of boosting Rock Pokemon's special defence by one level, giving some Rock Pokemon a much needed longevity on the special side, while making Tyranitar an even scarier threat. One would have expected Hail to have done something similar like boosting their physical defence by 1 level perhaps? Seven generations in we saw no such change. Hail at this point is one of the least used weathers out there and while we have seen things like Rain team or even Sand teams (mostly due to some Sand Stream Pokemon being very good), hail has not really seen much use other than to be a gimmick. The associated abilities of each weather is also a point that one has to take into factor. It seems Ice Pokemon, by their design, should be fast sweepers or a strong offensive threat. Seeing things like Chlorophyll and Swift Swim helped some otherwise slower Pokemon to be quicker in their respective weather and become significant offensive threats. Sand Pokemon had Sand Veil, but later Sand Rush was introduced to make even things like Sandslash more useful and the powerful Excadrill even made a great impact. Solar Power, Rain Dish, Sand Power, etc were also good weather dependent abilities. Ice Pokemon was stuck with Snow Cloak, while it was not terrible, it did not really exploit the Ice typing so well because it relied on luck and if a Pokemon had a super effective move anyways, that Pokemon would faint easily. Of course, Gamefreak still believed Ice types to be tanky but slow Pokemon, so they gave Ice Body in hopes that maybe that slow recovery in hail would be helpful, but what good is it when a Pokemon cannot even take hits in the first place? Slush Rush was introduced very late at generation 7. While it definitely helped the likes of Alolan Sandslash and perhaps Beartic, the Ice typing in the first place made them less likely to appear and Pokemon who set up hail also compounded to the weakness for the team. Did Gamefreak address some of these issues? It seems they did it slowly, and I still don't understand why Ice gyms are usually the penultimate (or ultimate in the case of Kalos) ones in the regions they appear. Not to mention how scarce they are overall and usually exploitable as Pokemon. In Generation 5 Frost Breath was introduced, but unlike its Fighting counterpart Storm Throw, it was plagued with 90% accuracy. Did they really think Ice type was too powerful? The fast Cryogonal was introduced, but just like an actual snowflake, it would probably fold to any physical attacks. 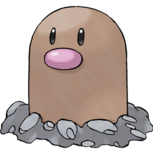 Generation 6 introduced the very useful Freeze Dry, which only a handful of Pokemon were able to use. It was a midpowered Ice move but it was much needed as it was able to target Water Pokemon super effectively, and also deal 4x damage to Pokemon like Gyarados, Kingdra, Ludicolo or Quagsire, further adding strength to an Ice Pokemon's arsenal. The reverse Cryogonal Avalugg was introduced in this game, who was very physically tanky and had reliable recovery, but was super slow and was specially weak, along with sporting all of Ice's common weaknesses, making it exploitable. They still seem to believe slow and bulky is the way to go. While Refrigerate was a good ability for Aurorus, it was another case of "slow and bulky" with one of the worst defensive typings that it was rarely seen. Of course, these skin abilities like Refrigerate also had counterparts in Pixilate and Aerilate, which were given to even more powerful Pokemon, so why bother with Ice types? 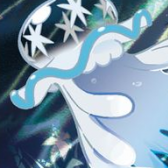 Generation 7 added Snow Warning to more Pokemon, but not many were very useful, and a specialised TM Aurora Veil, which gave the ability for Ice Pokemon to set up a Reflect and Light Screen in one turn, provided that hail was up. Only effective user of this is Ninetales, as it was quick and had the Snow Warning ability as hidden ability. While Gamefreak seems to have paid slight attention, most of these buffs were overall "minor" and did not fix the fundamental problem with Ice types: too many weaknesses. Solutions to Ice Type A few solutions have been raised for the often mistreated Ice typing. Create fast and powerful Ice Pokemon instead of making slow and bulky Ice Pokemon. This sounds like a start, but this does not address the problems with existing Ice Pokemon. Give Ice Pokemon more resistances. This is perfect and practical, but in the past pre Gen 6, people would object that these changes never happened. However, come Gen 6 and Steel types were changed to lose their resistance to Ghost and Dark, setting a new precedent where this can happen. Some types have been suggested, which include: > Water: I disagree to this actually. While this is a very common suggestion, I don't think this is what is needed. Water as an offensive type appeals with its great neutral coverage and has plenty of types resisting it already like Grass or Dragon types. I also do think things like Mamoswine should maintain its Water weakness. > Grass: Do we want to nerf Grass types offensively even more? > Dragon: The appeal of Dragon typing is the ability to strike most Pokemon for neutral damage. This isn't needed. > Fairy: I don't understand why Fire has to resist Fairy other than to help Mega Charizard X or Blaziken not become weak to Fairy (I honestly think that's the only reason), but I don't really see much reasoning behind this one either. What I think is the most effective would be a Ground and Flying resistance added to Ice. Fly SPAM is increasingly common these days, and Ice is the only type that is super effective against Flying to not resist it. I don't see this hurting the competitive factor much and would possibly help to balance some things out. Ground resistance would also help sponge the ubiquitous Earthquake, even if there are enough checks to that since Ground is such a good typing. The two new added resistance does make sense as well. If they are going to make slow and bulky Ice Pokemon, at least give them more resistances to tank at least a few extra hits before going down. Give existing Ice Pokemon some stat buffs This is also a start and also allowed thanks to Gen 6's precedent of stat additions, but it should not deviate too much from their original intended role. The goal is to make each Pokemon somewhat usable in some ways, but not to minmax everything. Some conservative buffs would honestly be helpful to some of them. Expand Ice Pokemon movepool Another great suggestion actually. Most Ice Pokemon have very shallow movepool and for some reason are not allowed to learn some moves. 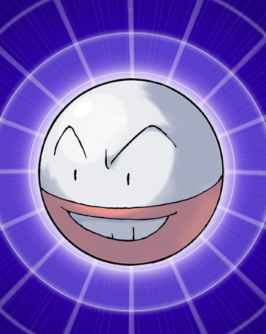 Froslass has Will-o-Wisp added to her movepool in Generation 7 due to her Ghost typing, but more often than not, we do not see any Fire like moves given to Ice Pokemon. Scald, for example, is a great Water move which could help some Ice Pokemon, but some Ice Pokemon who are even Water types themselves like Lapras or Walrein, cannot learn Scald. The only Ice Pokemon who can learn Scald is Crabominable, whose special stat is abominable to say the least, and is just silly. Add new Ice attacks In the special department, it is not needed as much, as Ice Beam is reliable and gets its job done. On the physical side, however, Ice Pokemon's strongest reliable attack is Icicle Crash (semireliable), and not every Ice Pokemon can get that. Expansion of more physical attacks would definitely be helpful to some Pokemon who are particularly wanting in this regard. Better abilities It may be a good idea to swap out those random Snow Cloaks and Ice Bodies on everything. It's boring and there should be some diversity in it. I am not saying remove the ability altogether, but some Pokemon should have some unique abilities dealing with Ice that can be helpful in the Hail weather. They went in the right direction when they gave a few Pokemon like Vanilluxe Snow Warning (who, by the way, has one of the highest BST of most Pokemon). Perhaps even making Ice Body's trait inherent to hail may also solve the issue. The + 50% defence boost everyone has been waiting for should also be a reality. I don't see why Sand is the only one with the special treatment. To those who think there should be a contact ability for 30% freeze, it is a very broken status and I don't think that would be helpful. The Pokemon Themselves Clearly, Ice Pokemon as a whole seem to suffer from a lot of things, but what about some of the existing Ice Pokemon? Along with some of the suggestions above like more resistances, here may be some ways to improve these Pokemon overall. There are quite a few of them so I will name a couple that are notable. Articuno This is probably one of the first legendary Pokemon one would think about when they think Ice Pokemon. It is also notoriously bad for a legendary Pokemon and underwhelming. Very common Pokemon can defeat it and what little it can do with its bulk and stalling is cancelled out by its common weaknesses, lack of resistances, and taking 50% damage from Stealth Rocks, thus making it outclassed by bulky waters who can do the same job usually but better. Articuno's attack power is pretty modest as well that it actually needs investment to OHKO the very targets it is supposed to defeat and it has a very shallow movepool so it could not abuse anything like Water attacks to fight Fire Pokemon and the rest are some pitiful sub 70 base power attacks, finding little utility on it. As for its abilities, it also suffers from being an old Pokemon: new Pokemon get custom abilities and custom signature attacks and can make a mark for itself while Articuno is stuck with generic Pressure (which somewhat augments stalling capabilities) and its hidden ability is the lacklustre Snow Cloak. Articuno does have a small niche in that it can take some hits quite well, defeat most bulky Waters one on one with its new Freeze Dry, and even deal some surprising amount of damage with STAB Hurricane especially on a rain team. However, even Moltres has a much better defensive typing (yes, Fire/Flying is even better) and Zapdos already does its job better also. One of the better solutions to Articuno is either changing its Hidden Ability to some interesting one, or give it a Mega form to unleash a much more powerful one with better defensive capabilities. A new signature move that may be a more stronger Freeze Dry with the extra effect of targetting Fire Pokemon (due to Articuno's association with the sea) super effectively would also be nice. Now Charizard has to think twice before switching into Articuno for free. Being a very underwhelming legendary, it has been embarrassing for Articuno throughout its existence. Perhaps it should actually qualify as one in terms of power. Lapras Lapras has a very large movepool and is a good Pokemon overall... but it has faded away into obscurity due to newer threats, being unable to tank hits, and just outclassed by many other Pokemon. It also noticeably is missing Scald, which would be a welcome addition to its movepool. It isn't really movepool that is its problem but its stats. In this case, perhaps it is a mega evolution that would benefit Lapras and allow it to make a splash again. Glaceon Glaceon is an Eeveelution, but they're usually a gimmick at this point with mono type, fixed stat numbers in different ordering, and shallow movepool, with only Hyper Voice and Shadow Ball in common mostly amongst all of them. For starters, there is a disparity amongst them even in their movelist. It would be nice for where Sylveon has Disarming Voice as a level 1 move, Glaceon can get Freeze Dry at that very slot to help its match ups against Water types, unless it is distasteful. Vaporeon seems a lot better than Glaceon anyhow even in Baton Pass, as Glaceon learns Barrier, but Vaporeon's Acid Armour is just about the same thing. Although it is tanky and can be EVd to actually take a hit from a STAB Close Combat or Fire Blast even from a normal Blaziken or Hitmontop, Glaceon is often too slow to do anything back. One proposition that some people have suggested was to switch its defence stat with its speed, but it would be too similar to Espeon in terms of stat build. Perhaps Slush Rush would also be beneficial? I have experimented with Snow Cloak and defensive spread, but after that huge hit it tanks from that aforementioned Close Combat, it doesn't have enough HP to take anything else most of the time and Snow Cloak is too unreliable. I would say Slush Rush or something would help there overall to make it a nice offensive threat in the hail, but otherwise may fall. Kyurem Kyurem is an example of how Gamefreak deals with Ice Pokemon very badly. In fact, the Kyurem Black form is the only super legendary Pokemon (the ones that belong amongst the ranks of Rayquaza or Giratina) that is ranked like a normal Pokemon in Smogon (a competitive battling site). This is due to a shallow movepool, the Ice typing, and some other factors. Normal Kyurem has a signature move called Glaciate, which is just a slightly more powerful Icy Wind, so it is not too useful. It would be much more useful by either buffing its power up even more, or to make it more tasteful, reduce the foe's speed by 2 levels instead of 1, as it was speculated in the earlier days. This way, Kyurem can stand a chance against some quicker foes like Deoxys and then finish it off with a powerful move afterwards. I'm not sure what they were thinking with this. The stronger Kyurem forms have signature moves: Freeze Shock and Cold Burn. Both of them are 140 base power with 90% accuracy, but requires chargeup, like Sky Attack. This makes it nearly useless and is often avoided. I would not mind if those moves were just repurposed into even 100 BP/100% accurate move without the useless charge. In fact, newer Pokemon like Zygarde get reliable STAB signature, and the older Pokemon even has interesting options like Sacred Fire Ho-oh or Origin Pulse Kyogre, so I don't see why they have to pick on Kyurem. It could also be dual typed like Flying Press if they wanted to. TurboBlaze and Teravolt could also give an extra effect to allow Kyurem to gain STAB buff to Fire and Electric moves, respectively (only Kyurem so that Reshiram and Zekrom do not gain a double STAB). I'm not sure why Kyurem Black cannot gain access to Earthquake or Icicle Crash. The lack of reliable physical Ice move is what is hurting it. Along with these changes and some minor modifications, we can at least see a powerful super legendary Ice dragon that people may have wanted to see. More to be added in the future... Closing Thoughts I think the disparity with the Ice typing is quite evident, and if Gamefreak honestly does not do anything here, Ice types may forever be doomed to obscurity in the competitive scene. What are your opinions about the Ice type? Do they need a buff? If so, how? Please leave any comments and critiques and perhaps we may see some justice to them one day. The title pretty much says it all but version 19/04/02 flags route 24 as invalid for meowth/persian and only accept route 25. My valid meowth was caught in game on 24 and it is pretty well documented on other sites that it can be caught on those 2 routes. Hope this help :) P.S. : This only applies to Let's Go Eevee, I think Let's Go Pikachu don't have Meowth. pk3ds does not rebuild, it just randomizes. For rebuilding, I'm using PackHack. All you have to do is rename the .code.bin file in ExtractedExeFS to code.bin, and then rebuild with PackHack. There you go. Hey guys, Just wanted to say that while I appreciate people who've thanked me researching the games via messaging on this forum, please note that I don't just do requests; if I have interest and spare time (which I don't have much nowadays) I'll do it. If you want any feature(s) for other Pokemon game's save researched that hasn't already, please feel free to open a new thread about it and those with the spare time and interest down the road will hopefully be able to look into it. If you think you have the skills and you'd like to try researching the thing(s) you want, then you can get started by downloading a hex editor. The one I use and recommend is HxD: https://mh-nexus.de/en/downloads.php?product=HxD20 Thank you. Re-read the first post of the thread. You don't download the exe from github. Use luma3DS for your cfw. pk3DS doesn't rebuild ROMs, nor should you need to. Use layeredFS instead. Hi, i'm having certain issues... well, for starters, last version of pk3ds from the github master doesn't have the executable, so... call me dumb, but i don't know how to make it work. And with older versions... to be honest, i don't know how to make it work. I managed once to randomize an Ultra Moon game, but i feel that the ExeFS part (the TM's) didn't get randomized. And now, if i edit something on the CRO part, the game just doesn't load. Not to mention that i get a 0kb file if i try to rebuild the game into a .3ds file. Any help? I don't even know where to ask now. Hey Drayano, I'm currently experiencing a roadblock bug at Mt. Coronet. I defeated the bosses at the Galactic Building in Veilstone but I'm still getting block by 2 NPCs at the rock climb locations in Mt.Coronet. Pokemon transfer fine from the Dream Radar, but items don't. Instead of the evolutionary stones and rare candies I tried to acquire, I got 355 Root Fossils and 489 Master Balls!